What Event Organizers Need to Know About Bus Transportation for Their Next Event. Today, events bring groups together for all kinds of reasons, whether for corporate conventions, educational conferences, sports games, weddings, cultural and social events or entertainment performances. Large events have become so commonplace that a whole new industry has emerged surrounding events called the events industry. Event planners and other events related jobs have come into being as a means for pulling events off smoothly. An event planner or organizer’s job is to plan and execute the event’s details from start to finish. When you’re dealing with large groups that are attending, say corporate events, even when they fly into a city like Houston, New York, San Francisco or Chicago, the flight is only the first leg of the travel. Now your travel coordination becomes challenging – and the next travel leg is getting them all to the event on time. Charter buses, whether motorcoaches or mini buses, are the most reliable and practical type of transportation for shuttling people to events. Relying on attendees to get themselves there is all too often asking for a disorganized mess with delays, lost attendees and late arrivals. How many attendees are confirmed for the event? How many attendees from out-of-town do you have staying in partner hotels? How many guests are booked for each hotel? What time do they have to arrive for the event? Will they be coming and going throughout the day or staying at the event? Are any of the attendees planning to use other transportation options? If so, what percentage? Knowing these facts can help you decide whether to rent motorcoaches that hold up to 57 or 60 passengers or minibuses that hold up to 30 passengers. If a certain hotel has booked more event guests than other hotels, then you may need a motorcoach for pickup and drop off or to send two minibuses to the hotel and run them at two different times. Even when sending one bus to pick up 50 people, it’s not likely that everyone will be ready to leave at the same time. Sending two buses may be a better idea. If the event lasts all day, you can schedule two main shuttle runs. If transportation is needed throughout the day, then you can plan to keep a few buses standing by. The type of event that’s being held can determine this factor, for example, with a trade show, attendees may be coming and going. However, if you had an educational seminar, attendees may be there for the whole day. It’s also a good idea to survey attendees and find out what time they want to arrive at the event. If a continental breakfast and coffee are part of the event’s amenities before starting the program, people may want to arrive early. Take a test drive. It’s worth your while to test the route and see how long it takes to drive from the hotels to the event venue. You should add time for passengers boarding the bus. Traffic is typically more congested during certain times of the day, and some routes involve more heavy traffic than others. Traffic in big cities during weekday rush hours are typically jammed compared with a Sunday morning, for example. Make sure you take your test drives on the same days as the events. Obviously, depending on the pickup locations, there will be different routes. Many buses use traffic monitoring equipment and this can be invaluable for backup pans to avoid traffic jams, construction detours and traffic accidents. It also pays to know what other major events are happening in the city at the same time. If your business convention is letting out at the same time as a Major League Baseball game on Opening Day and the same freeways connect the convention center as the stadium, which are in close proximity of each other, it’s to your advantage to know this ahead of time. Keeping an eye on weather forecasts can also be vital for allowing extra travel time and changing routes if necessary. Events are growing into networking phenomena that span the nation. Mobile phones, texting and social media can help mobilize groups and keep planners in touch with staff, vendors and attendees so events go smoothly. Event planning and organizing sit at the heart of this new line of work. Event3 is an event industry website that offers event planners suggestions when organizing events. Here are a few tips to keep in mind. “The best laid plans of mice and men often go awry” is a well-known saying and should be a guidepost for event planners. Be ready to shift gears and implement backup plans when things don’t work out as intended. Flexibility is a good skill to keep in your back pocket because you’re bound to need it at some point. When circumstances change, communicate and inform all your staff about the changes, along with attendees if they are also affected by the changes. Events are coordinated activities and without communication, actions don’t get coordinated. Communication includes constantly following up to make sure that transportation vendors aren’t running into snags that you should let staff, speakers and attendees know about. Keep your cool and stay positive to make the event as pleasant as possible for everyone involved. Even when things are going awry, you can still be friendly and welcoming to guests. Making them feel appreciated can go a long ways to smooth over event details that start falling apart. In show business, the saying “the show must go on” pulled many an actor through the scene in a performance when they or other actors forgot their lines. If you have a long drive from one venue to the next venue, you can keep guests entertained along the way. Guest speakers and tour guides can make a long trip interesting. 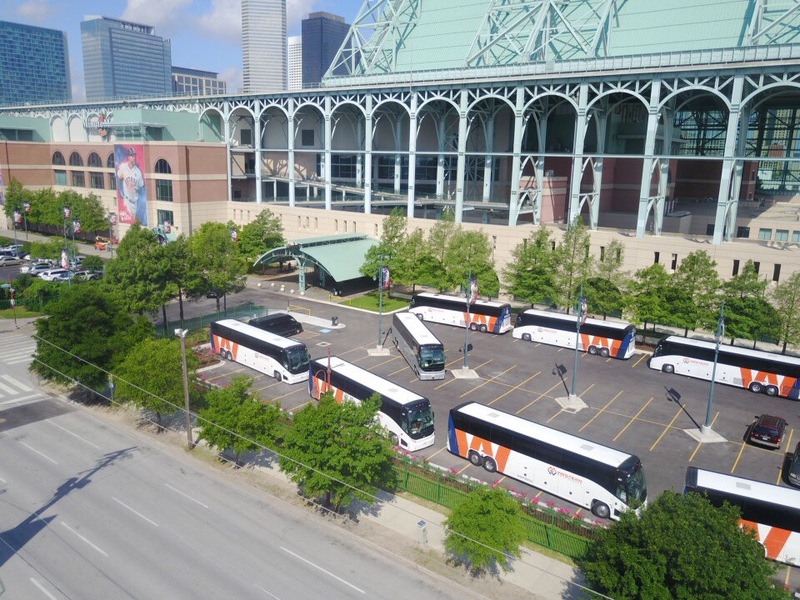 Also, chartering buses with amenities like WiFi, televisions and restrooms add comfort factors for passengers and can help make an event successful. Sometimes the extra touches are what make companies choose one event planner over another for their future events. There’s no substitute for a detailed transportation plan that takes all the factors into consideration. It’s a good idea to keep evaluating information as you move forward in case the number of attendees drops down or increases or the event schedule changes for some reason. A good event planner can plan effectively, and the planning doesn’t typically end until the last guest has left the event building and you’re turning off the lights and locking up the conference room door. Renting a motorcoach, mini bus, executive coach or limo is the best way to go when organizing events. You and your guests can sit back, relax and let a professional driver deal with the hassles of traffic and parking. Because motor coaches are the safest form of ground transportation in the country, you don’t have to worry about whether event attendees are in good hands —all drivers are professionally trained and certified. Charter buses are also more eco-friendly than any other vehicle on the road today, so you’ll be doing our part to help save the environment as well. Imagine not having to worry about trying to time your arrivals so everyone can meet up. No waiting for stragglers or stress over delays. Your attendees are arriving in groups instead of individually taking lifts or Uber share rides. As an event planner, you just don’t need unknown factors.